With 4th Edition on hold and Next still deep in development, Wizards of the Coast continues to stoke the fire of Dungeons & Dragons by reprinting earlier editions. 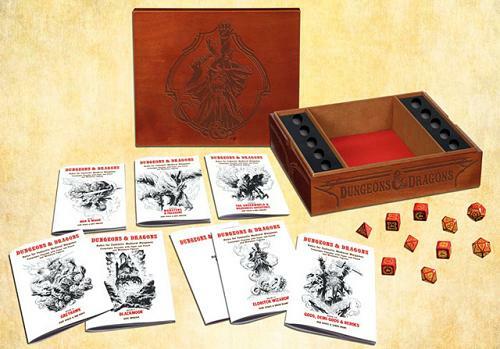 Already out are the core books for AD&D and 3rd Edition. Coming next month is Dungeons of Dread, a compilation of the AD&D S-series adventure modules—S1: Tomb of Horrors, S2: White Plume Mountain, S3: Expedition to the Barrier Peaks (my favorite! 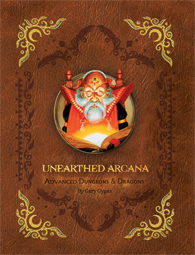 ), and S4: The Lost Caverns of Tsojcanth. Then in June we’ll see Against the Slave Lords, the A-series modules—A1: Slave Pits of the Undercity, A2: Secrets of the Slavers Stockade, A3: Assault on the Aerie of the Slave Lords, and A4: In the Dungeons of the Slave Lords—plus, A0: Danger at Darkshelf Quarry, a new lead-in adventure for 1st-3rd level characters.